Karlie Roland has been fishing the Henry’s Fork all her life. Her family has kept a cabin in Island Park, ID for as long as she can remember and she’s returned every year for fishing and family reunions. In about a month she is moving to this small trout town to take a job as the first female guide for TroutHunter Lodge. With support from Hardy, we joined Karlie on the Henry’s Fork earlier this summer. She was there with her Dad Keith and Grandpa Mitch, guiding the guys who taught her how to flyfish. This is Karlie Roland’s story–the story of a new generation of flyfishers. To celebrate the release of “Where It All Started,” Hardy has teamed up with The FlyFish Journal to give away the all-new Hardy UltraLite MTX 5 Wt Reel. A new benchmark in reel design the Hardy Ultralite MTX is Hardy’s first fly reel to feature a Hybrid Carbon fiber / alloy main frame construction. Strong, lightweight and stunningly designed. All you need to do is sign up below to enter. -Presented by The Flyfish Journal, PO Box 2806, Bellingham, WA, 98227. -Contest entry signs you up for The Flyfish Journal email Newsletter and, The Ski Journal, The Snowboarder’s Journal email Newsletter if you ski or snowboard. -Odds are determined by the number of entries. 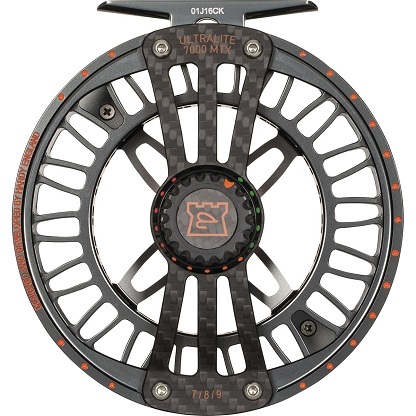 -Prize includes one Hardy – UltraLite MTX 5wt Reel – $449 Value. -Entry limited to residents of the United States and Canada. -Winner will be announced October 15, 2018.